Education is a rewarding interdisciplinary degree that allows you to combine the study of educational and social issues with one of three specialist areas: psychology of learning, international development or English, drama and the arts. Education is one of our most powerful means for change and growth in the modern world. On our course, you follow one of three tracks, studying Education alongside your chosen field of interest, which will include the opportunity to study in other Faculties relevant to your chosen track. The Education, Psychology and Learning track focuses on education from a psychological perspective, exploring human development and education in a variety of social and cultural environments. This track is accredited by the British Psychological Society (BPS). In Education, Policy and International Development you consider historical and contemporary discussions concerning these areas, and education’s role in economic and social change. Education, English, Drama and the Arts is the study of English literature with key issues in education – such as debates around creativity, learning and culture – while giving you the option of studying practical drama. 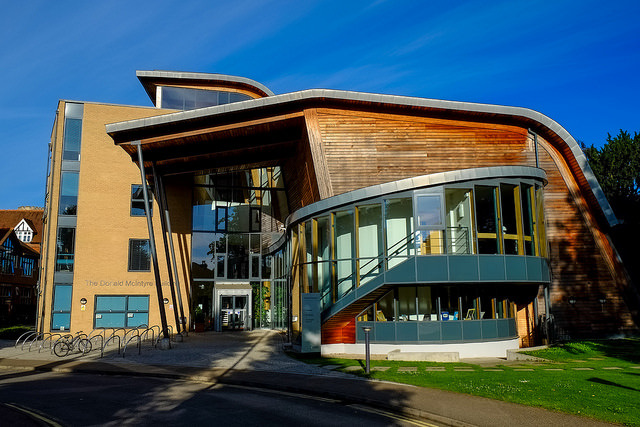 The Faculty of Education has excellent resources and facilities within a purpose-built building, designed to support teaching, learning and research. There is a psychology laboratory and a library that houses an extensive collection of material on education and related fields. Active research forms the foundation of our teaching so you're taught by academics at the forefront of their fields and who specialise in cutting-edge research. Our course provides excellent preparation for a wide range of Masters and doctoral research programmes, both at Cambridge – each track has close links to related MPhil programmes within the Faculty – and elsewhere. Alternatively, for those intending to teach, the course provides a foundation from which to proceed to some initial teacher training courses (eg a PGCE). Part II of Education is also available to undergraduates who have successfully completed Part I of another course, in which case it's normally taken as a two-year course. The career options for an Education graduate are extremely varied and they find employment in a wide range of occupations and fields in the UK and abroad. Many have gone into academic research, educational psychology and neuroscience, publishing, teaching and the Civil Service, along with those now working in government policy and administration, journalism and the wider media, theatre, community arts, heritage and museum education, management and HR, business and consultancy, charities and NGOs, and international development. Many graduates also pursue careers associated with their combination subject. In your Supplementary Application Questionnaire (SAQ) you should indicate which track you’re interested in studying. You attend four to six lectures and seminars, and one or two hours of supervision per week in the first year. You’re assessed at the end of each year. Depending on the papers studied, this will be through coursework, written examination, or a combination of both. In the third year, all students also submit a dissertation. In Year 2, you take five papers. Two are compulsory – Designing Educational Research (a project in research design), and The Emergence of Educational Thinking and Systems (covering historical and philosophical perspectives on key aspects of education) – and you choose your third from several other education topics. You submit a dissertation of 8,000-10,000 words, then take a further four papers. Two of these are on particular issues in education. For your final paper, you can take another ‘issue in education’ paper, or choose a paper from options in other relevant courses. For further information about studying Education at the University of Cambridge see the Faculty of Education website. See Education: Subject Requirements and Typical Offer by College for College-specific requirements/preferences. All undergraduate admissions decisions are the responsibility of the Cambridge Colleges, so please check College websites for further details. All applicants are required to take the pre-interview written assessment for Education at an authorised centre local to them (for a lot of applicants, this will be their school/college). Information about the assessment format will be published here as soon as it is available. The pre-interview written assessment for Education will be taken on 30 October 2019. Please check the Cambridge Assessment Admissions Testing website for scheduled start times. For further information about studying Education at the University of Cambridge see the The Faculty of Education website. The Faculty of Education - Explore Education in more detail on the faculty website. Application details - Information on the entry requirements and application procedure from the Faculty of Education.